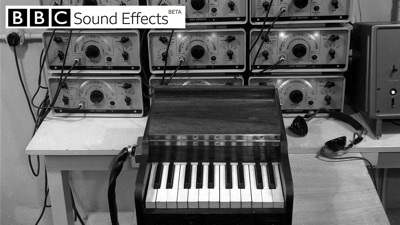 The BBC have recently made available over 16,000 sound effects to the public for free. This vast library includes effects that have been used by the BBC since the 1920's. Everything from a South American parrot talking and screeching, the sound of the interior of a Belgian post office, or the sound of an inflating rubber dinghy! The sound effects are available to download in WAV format and may be used for personal, educational, or research purposes. Congratulations to Rod Willerton and Jack Butler for their awards at BIAFF 2018. 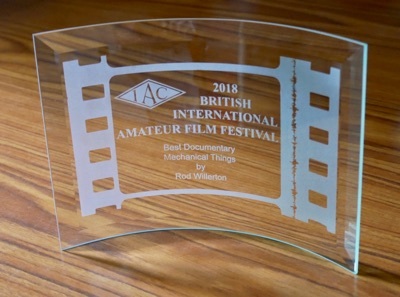 Rod's film, "Mechanical Things", received a Five Star award, plus Best Documentary, whilst Jack's films, "Fall of a King" and "Ready Salted", both received Three Star awards. The 2018 Albany Competition, which started in 1966, took place in Chichester and was once again hosted by Chichester Film & Video Makers. Our entry, "The Prodigal", received the Greenyer Trophy for best use of sound, and the Runners Up Trophy. Only four clubs participated this year, but with six films being entered to the theme, 'Elephant in the Room'. 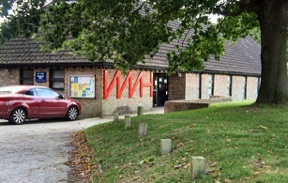 Chichester Film & Video Makers won the Albany Trophy for their film, "Cardinal Sin", which was judged to be the best overall entry. 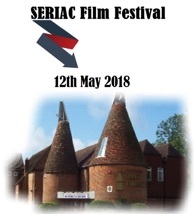 Well done to all of our members who took part in the SERIAC Film Festival, and congratulations to Jack Butler for winning the Youth Award for his film, "The Fall of a King". Our chairman, David Fenn, is also to be congratulated in winning the SERIAC 60 for the Best 1 minute or less film with "The Holiday". Other awards were received by Rod Willerton - Highly Commended for "Mechanical Things" and Ron Prosser - Competition Officer's Certificate for "Nelson's Cruises". The club, and it's members, did well at the Sussex. "The Prodigal" won the Club Award for the best entry from a club. Other winners were David Fenn, One Minute Award for "The Holiday", Rod Willerton, Editing Award for "Portsmouth Historic Dockyard", plus Travelogue/Holiday Award for "Two Italian Gardens". Commended were Ron Prosser for "Nelson's Cruises" and Rod Willerton for "Romans and Pottery" and "Victorian Warrior". 2018 was the 49th year of the festival so look out for a special event in 2019 for the 50th! 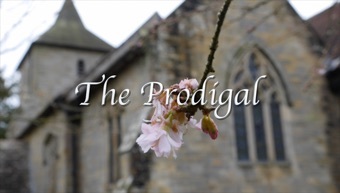 We're very pleased that our club film, "The Prodigal", came third in the recent Australian Widescreen Festival. Comments received noted that the film was well acted and produced. David Fenn's film, "Take the A Road" came equal 10th in the same competition, and his film, "The Holiday" was equal 30th.